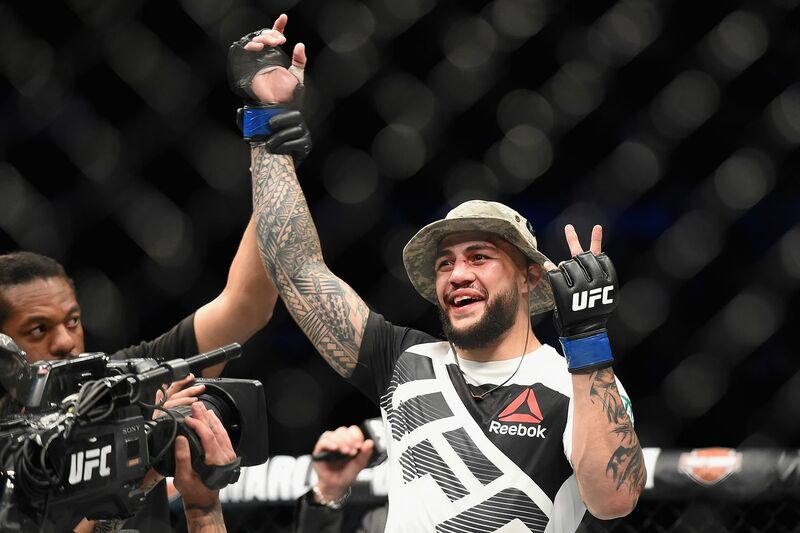 Undefeated light heavyweight prospect Tyson Pedro wasted no time in delivering on his second Octagon appearance earlier tonight (Sat., Mar. 4, 2017) at UFC 209 live on pay-per-view (PPV) from inside T-Mobile Arena in Las Vegas, Nevada, when he clobbered former undefeated Scottish submission specialist Paul Craig. It was the first time Pedro had a full camp heading into a fight and it showed. While Craig came out of the gate aggressive and tried to feel the Australian out with head kicks, it was Pedro who controlled the action along the cage and landed devastating knees to the body. After catching “Bearjew” with a right hand that dropped him in the center of the cage, Pedro was able to secure a takedown, rain down heavy elbows from top control and force the referee to jump in for the first-round TKO stoppage. The memorable finish can be seen below courtesy of UFC. With this win, Pedro improves to 6-0 in his career and is quickly making a name for himself in the 205-pound class. At just 25 years of age, the evolving ground specialist has a bright future in one of the most depleted divisions in the game. For complete UFC 209 results and coverage click here. What does it take for a fighter to stand out in a crowded UFC landscape?